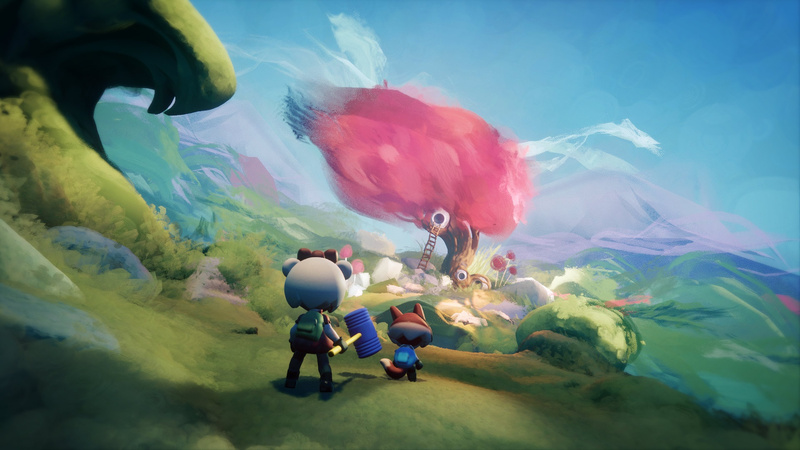 Last month, the release date for Dreams Early Access was finally confirmed, and we're now just a few days away from being able to jump in. On 16th April, this version of the game will go live on PlayStation Store, allowing players to go hands on with the suite of tools and start building some weird and wonderful stuff. But when exactly will we be able to get it? Media Molecule has now answered this question too. Announced on Twitter, the studio has confirmed the times you can expect the early access version of Dreams to become available for purchase. For those in Europe, Russia, Australia, and New Zealand, it'll go live from 10:30am BST. For those in North America, the time will be 8:30am PDT. You'd best set yourself an alert, as spaces will be limited. Are you excited to jump into Dreams Early Access on PS4? Will you be making some crazy creations, or simply playing the community levels? Use your imagination in the comments below. Well I know what I’ll be doing at 10:30am on Tuesday. Time to F5 the PS Store. @get2sammyb I'll start refreshing now! "You'd best set yourself an alert, as spaces will be limited." This better be available for at least 2 weeks or they shouldn't have even bothered, just going to be bad publicity if after 3 years the "early" access sells out their digital allotment in a matter of hours. I know nothing is "unlimited" but they should have a decent number of codes ready, 90 million would be good. 50 million if Sony knows a lot of consoles aren't online. At the vety minimum the number of PS+ Ppaid subscribers. And is it just me or does it go on sale about 5 hours earlier in the EU/UK? Hopefully they were smart enough to separate codes by region. It goes live at 11:30AM on a Tuesday in NY, where and when most people will be at work or school. Good for their servers, bad if they sell out before everyone gets home. Fingers crossed for the best. mM aren't rookies, they should have things sorted by now. I mean, I'm buying it as soon as it goes live, but I really hope it isn't sold out within minutes, because I think that would look quite bad. 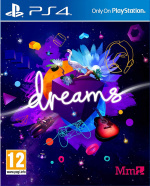 My ps plus runs out in may,will I still be able to get on dreams? @rjejr "90 million" lol what do you think this is, GTAV? It'll be called "PS Store: The Dreams Experience". It'll let you buy the full version of Dreams. @Quintumply Thanks,and what about when it becomes a full game,still no ps plus? Limited spaces... but goes live while people on the east coast are at work???? Ffs. Thanks media molly-fool. Was it not implied that invites would be sent out? I don't care either way. It's coming soon & whether I get in or not is no matter as I want the VR. I still predict Summer 2019 full release. Holy s*** so soon already? @SirRealDeal That was the beta. This is the early access. You pay for it, but you get early access. It's still limited though. How will this game be reviewed? Is it going to be based off the story line or is going to be a handful of UGC levels to provide a cross section of the gameplay? Because surely a select few is not going to be enough of a basis to see what the creation suite is really capable of? Just curious. People hoping to get in better be ready for disappointment, because after the beta I was sent another email to sign up for early access involvement. Which maybe means only people who responded are eligible. @Octane Nah I'm talking about what @knight_spg posted above. @SirRealDeal @knight_spg I think that was just so they could let you know when it goes live, or maybe get an estimate of how many people are interested in this. It is a public thing, and it should appear om the PS store for everyone. @Nyne11Tyme @nookie_egg Well, it is more of a game engine after all. So I think they can also compare it to games like LBP and Project Spark. How big is the scope of things you can do, and more importantly, how intuitive is everything, and things like that. Judging it on its "game" content alone would be weird. @Nyne11Tyme Completely agreed, that particular reviewer may not be a creative person and thus not gain the full benefit, yet the next one could come along and create some incredible work of art and fully appreciates it all. It's a tough one. @Octane I guess, but as I say, if that particular reviewer just can't get to grips with the tool, then they are going to end up downing their verdict. I dunno, I'm looking forward to it either way, it looks incredible, even for those of us who aren't that creative. @nookie_egg Of course, but that's no different from that one review that couldn't handle God of War because it's ''too difficult'', or didn't understand the controls in Spider-Man. Dreams is different though, I agree, and I just hope people realise that going in. @AdamNovice "lol what do you think this is, GTAV"
I think it's an accident waiting to happen, so like the boy scouts I was trying to be prepared and put off an ugly and embarrassing situation. And as you probably read all of my post 90m was just the starting number, I brought it down quite a bit after that. I know the entire world has gone out of it's mind and nobody can quite figure out that starting numbers are just a starting point and you have to work your way to an endpoint but it's how I work, start with your largest number then whittle it down. Way better than what mM did w/ the "open" beta. Tel everyone to sign up to get it, then nto give it to a lot of people, even though they said a couple of times after everyone would get one. That's nto a smart way to do things. But we'll see how it goes. If they keep selling it for at least 2 weeks then regardless of how many they sell I'm fine. If it sells out in a few hours, nto fine. It's a digital game they are selling, it should NEVER sell out until the full game releases, and we shouldn't even be having this conversation. The fact that we are means there is already a problem.